You’ve written an amazing book, or you’re working on writing one. You have an important message that the world needs to hear. In fact, you’re so passionate about spreading this message that you’ve started to try to think of ways to bring it to more people. You want to get your book in the hands of more readers. What you need is publicity. But how do you even get started? Where do you begin to bring more attention to your book, your business, and your message? Should you just start to cold call influencers or reporters? You need a great strategy to help you reach the right people in the right way. You need Amanda Berlin, my guest for today’s episode. After more than a decade in the New York City public relations world, Amanda Berlin now uses her pitch powers for good. She helps entrepreneurs write their web content, tell their brand story, and spread their message in the media. Amanda has created a library of template guides and trainings that feature insider secrets on strategic story-telling and media relations from her 12 years of experience guiding strategy for major brands in the corporate world. She is known for her useable tools for entrepreneurs and small business owners who need publicity. Amanda and her clients have been featured in all types of media — from Business Insider to Entrepreneur on Fire and from WNYW Fox 5 to Bustle.com. 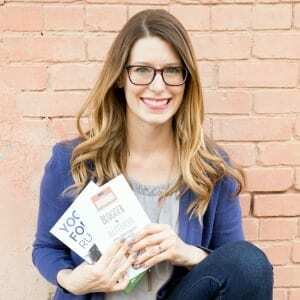 She’s the host of The PITCH Podcast and the creator of PITCH School, a suite of services that arms business owners with the tools and strategy they need to go from hidden industry gem to recognizable trusted expert. To figure out where to get started in your own publicity strategy, visit amandaberlin.com/publicitypersonality. Learn how you can use your #book to leverage more publicity for yourself w/ @AmandaBerlin!